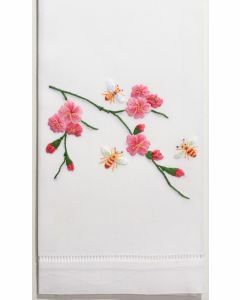 We can’t get enough of these charming hand towels, featuring an elegant Peony design! 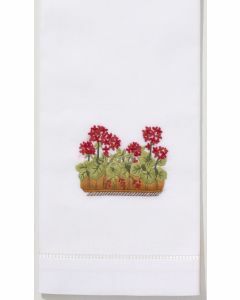 These towels are perfect for flower lovers. 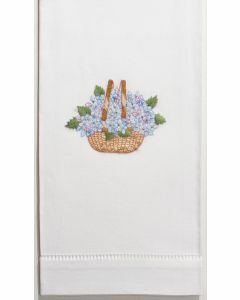 Hand embroidered towel on 100% cotton, finished and hemstitched by hand. Please note this item is sold as a set of 2. Each towel measures 16 x 24 inches. 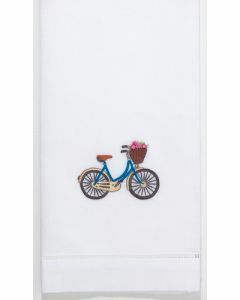 Hand wash or machine wash on gentle cycle, tumble dry on low heat until damp, line dry, iron on reverse for traditional finish. Click on images for greater detail.